Houghton Mifflin Harcourt, 9780544973978, 544pp. J.D. BARKER is the internationally best-selling author of Forsaken, a finalist for the Bram Stoker Award for Superior Achievement in a First Novel, and winner of the New Apple Medalist Award. His work has been compared to Stephen King, Dean Koontz, and Thomas Harris. His 4MK Thrillers, The Fourth Monkey and The Fifth to Die, were released in June 2017 and June 2018 respectively. He has been asked by the Stoker family to coauthor the forthcoming prequel to Dracula due out in fall 2018. His novels have been translated into numerous languages and optioned for both film and television. Barker currently resides in Pennsylvania with his wife, Dayna, and their two dogs, both of whom sit outside his office door daily, eagerly awaiting his next novel. "The craftsmanship here is outstanding. The story is intricate without being annoyingly so; the characters are sharply defined; the dialogue is fluid; and the ending—well, let’s just say that when the book ends, it’s like a speeding train slamming into the side of a mountain: unexpected, abrupt, painful. The story is scheduled to conclude in the next book, which better get here soon." "Competent...the cliffhanger ending points to more mayhem in a third volume." "Well-written, haunting, and insanely addictive. . . Bottom line, this is what a crime thriller is supposed to look like. Think Stephen King meets Michael Connelly — J.D. 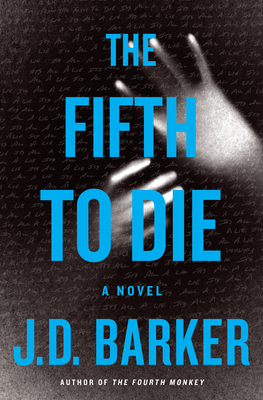 Barker was born to write crime thrillers, and The Fifth to Die is his latest masterpiece."